Blue Diamond Remodeling, Inc. is a family-owned general contractor company serving Austin, Texas. We provide quality-remodeling services with over 30 years experience in the field. We use simple design techniques to bring a fresh new look to your home without long and complicated renovations. We are a husband and wife team, personally involved in every project! We will help you to make your ideal kitchen a reality. We specialize on kitchen remodels and we are passionate about providing value and the kitchen of your dreams! Our team is committed to perfecting the art and science of custom remodeling through employing the most skilled craftsmen and operating with the utmost integrity. I have been working in Georgetown since 2000! I started my interior design career in Austin where I specialized in space planning and merchandising. Artisan Remodeling & Roofing is a full-service remodeling, renovation, and repair company that has become the go-to in the Austin area for high-quality craftsmanship adjusted to meet your needs. For 15 years we have created masterpieces for our clients in the Austin area. We are a full service contracting company, specializing in new home construction, home renovations & tenant improvements. Our team has decades of experience in all types of glass applications so we can bring the design-build concept into each project. Come discover the endless possibilities that glass can create! We are experts in home renovation and maintenance projects and we'll help you get it done quickly, affordably, with high-quality results and some local Austin flair. We focus on the construction process, not just the result, enabling us to deliver the absolute best quality, at the best value to you. On-site and off, we are building things that matter. Fox Remodeling & Construction LLC. has been serving as a leading Flooring and Remodeling Contractor since 1993. As a fully-certified professional, I’m ready to tackle anything. At Quick Residential Rescue, we have integrated and streamlined our operation to deliver expedited professional results. We want you to sell, lease and/or enjoy your property QUICK! We are a general contracting firm doing comprehensive renovations, additions and remodels in the North, Central areas of Austin Texas. 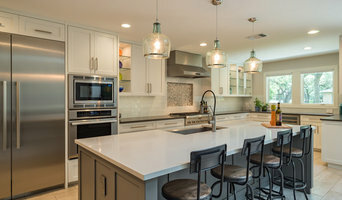 When you want a kitchen remodel, our documented process, experienced designers and trusted install professionals, will guide you to the kitchen or bath of your dreams. Canyon Construction specializes in residential renovation. We take pride in providing the highest quality workmanship and accommodating service at a fair price. Ballroom Baths & Home Design is a locally renowned design-build remodeling company serving the greater Boerne and Texas Hill County. Initially founded in Chicago, Illinois in 1996, our firm relocated to Boerne, Texas in 2011, whereupon our experience and dedication to superior craftsmanship enabled us to quickly establish a prominent reputation of excellence within the community. The distinguishing feature between our firm, and many other design firms is our capacity to provide a complete range of project delivery services, thereby eliminating the client’s need to seek out multiple contractors for each phase of the remodeling process. The cornerstone of our firm has always been our whole-hearted commitment to customer satisfaction. We pride ourselves on exceeding customer expectations, through quality craftsmanship, brilliant artistry and attention to detail. At Ballroom Baths & Home Design, we believe that open and continued communication throughout the entire remodeling process is not only your right, but our promise to you. Please call us today at 830-755-6444 we would love to Make Your Home an Experience! We translate your vision for your home into reality. Our specialty is transforming the problem area of your home into your favorite area. From kitchens & bathrooms to your entire home. Kitchens and bathrooms are two of the hardest-working spaces in any home. When it’s time to update them, ensure that they stay at peak functionality by hiring a Barton Creek kitchen and bathroom remodeler. With an eye for aesthetics, a practical approach to layout and design, and the skills of a contractor, a bath or kitchen remodeler in Barton Creek, TX can help you execute a remodel suited your personal style and needs. 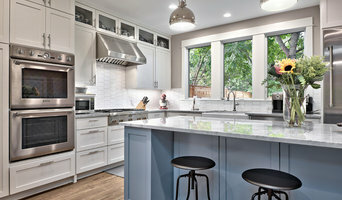 What does a Barton Creek kitchen and bath remodeling expert do? Licensed Texas kitchen and bath remodelers are contractors who specialize in altering the structure of an existing space, rather than building one from the ground up. Because he or she must deal with a previous builder’s work, the job can get more complicated than new construction. You might wonder why they often specialize in both kitchens and bathrooms, but if you think about those two spaces, they actually have a lot in common. Kitchens and bathrooms include an abundance of fixtures that require careful planning and installation, including sinks, faucets, tubs and toilets that all need water hookups and drainage. They also use similar materials, such as tile and stone for countertops and flooring, due to the nature of their use. So it makes sense that Barton Creek kitchen remodelers and bathroom remodelers be one in the same. A bathroom or kitchen remodeler translates architectural plans from page to reality; some are also trained to provide design services so that you don’t have to hire a separate pro. Like a general contractor, a kitchen and bathroom remodeler in Barton Creek, TX is responsible for hiring and supervising subcontractors and providing materials when necessary. They also should have a thorough knowledge of Texas building codes and construction-related legal issues, as well as current design and product trends. Here are some related professionals and vendors to complement the work of kitchen & bath remodelers: Woodworkers & Carpenters, Kitchen & Bath Designers, Interior Designers & Decorators, Architects & Building Designers, General Contractors. Find a Barton Creek kitchen and bathroom renovator on Houzz. Narrow your search in the Professionals section of the website to kitchen and bathroom remodelers in Barton Creek, TX. You may also look through photos of Barton Creek, TX spaces to find kitchens or bathrooms you like, then contact the bathroom or kitchen remodeler who worked on it.